While it’s justifiably famed for its fantastic beaches, Barbados is an island that has it all. 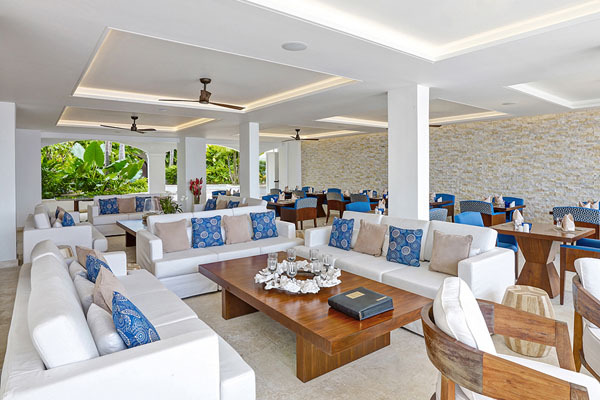 While traveling here, stay at the Elegant Hotels Group properties, a unique collection of seven luxury hotels situated along the stunning beaches of Barbados. 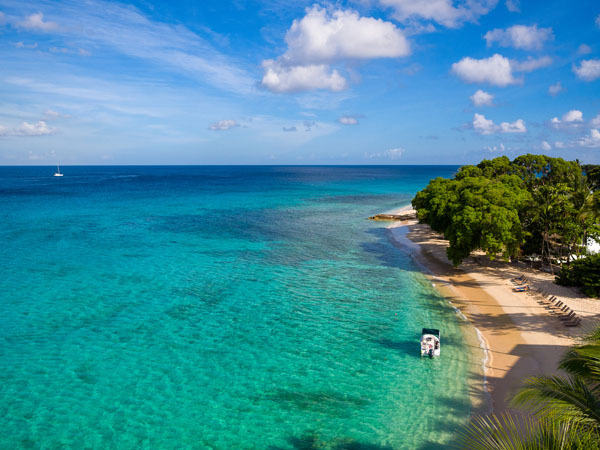 These quintessential island resorts will guarantee a once in a lifetime experience while enjoying the white powdery sand and the turquoise blue bays at Barbados. The House and Waves Hotel & Spa are two resorts under the Elegant Hotels Group collection which blew our breath away, each one was more perfect than the next. The House exudes the warmth and comfort of a luxurious home that offers breathtaking views of the golden sands of Barbados’ Paynes Beach and its dramatic skyline. 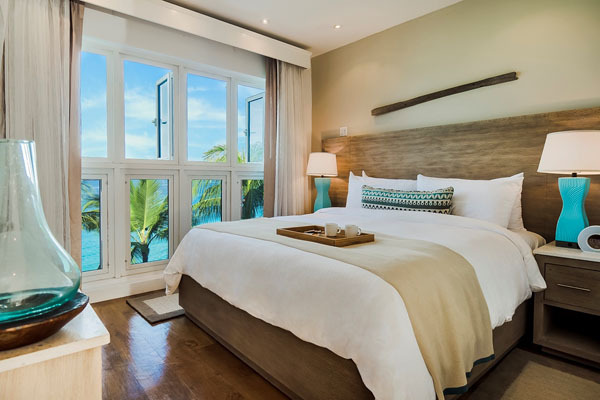 Guest rooms and suites are decorated in a contemporary coastal island décor with stunning island and lush garden views creating a sanctuary of luxury and bliss. Also, If you are feeling a bit jet-lagged, the hotel offers a 30-minute, complimentary Jet Lag Revival Massage for guests to achieve ultimate bliss on vacation Every morning guests can wake up to a full champagne breakfast and also enjoy an English-style afternoon tea after a full day of sun. 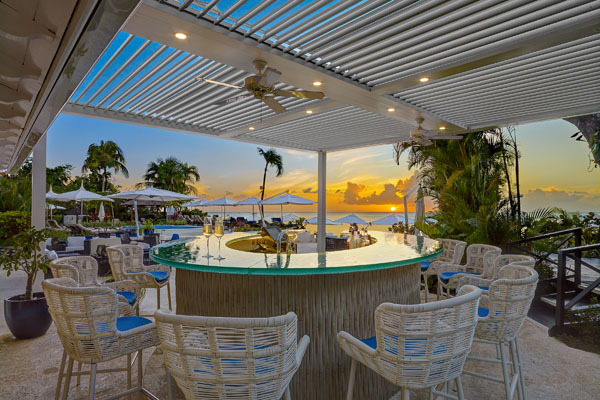 Enjoy the tastes of the award winning Daphne’s restaurant and enjoy the sunset and a cocktail at the 1703 Mount Gay Rum bar onsite. The House is located on the Platinum West Coast of Barbados along a stretch of pristine beaches overlooking the calm waters of the Caribbean Sea. The Waves Hotel & Spa is an all-inclusive wellness hotel with seventy newly refurbished eco-chic guest rooms and suites, most with a private patio or balcony. This oceanfront resort caters to those seeking a mind and body holiday and strives to help every guest achieve that inner zen. Pool and beach ambassadors will serve you at your sunbed, including bringing iced melon balls and cold towels. The award winning spa at Waves Hotel includes a sizeable operation with eight treatment rooms along with a sauna and steam room. For the ultimate in privacy and relaxation book an oceanfront duplex suite to enjoy the balmy Caribbean breeze and panoramic views of the ocean. Or book a pool view suite for easy access to the hotel’s many lush amenities. To enjoy a variety of restaurants within the Elegant Hotels portfolio book the Dine Around program which allows you to expand your dining options to sister properties on the famed Platinum West Coast. Guests can enjoy a different restaurant every night as a complimentary water taxi will whisk you on a culinary journey along Barbados’ famed coastline. Other gastronomic options include a Seascape, a Mediterranean-inspired al-fresco restaurant overlooking the ocean, Shiso, an Asian-fusion dinner concept, and Daphne’s, a modern Italian restaurant infused with island flavors and fresh seafood. In the evenings the torches light up the deck with live music in the lounge bar along with a lively weekly cocktail party and entertainment for its guests as well. If you want to experience true bliss the Elegant Hotels Group properties bring a taste of elegance to your holiday and treat every guest like family. Their award-winning beach and poolside ambassador service treats you with warm Bajan hospitality and highly attentive service, tending to your every whim.